The melting Arctic: What does it mean for wildlife and people? - Unearthed The melting Arctic: What does it mean for wildlife and people? The melting Arctic: What does it mean for wildlife and people? Over the past several decades the ice in the Arctic has been disintegrating but the effect goes beyond what can be seen on the surface. Research suggests the vanishing ice will have big impacts for polar mammals, fish, tiny organisms and people around the world. 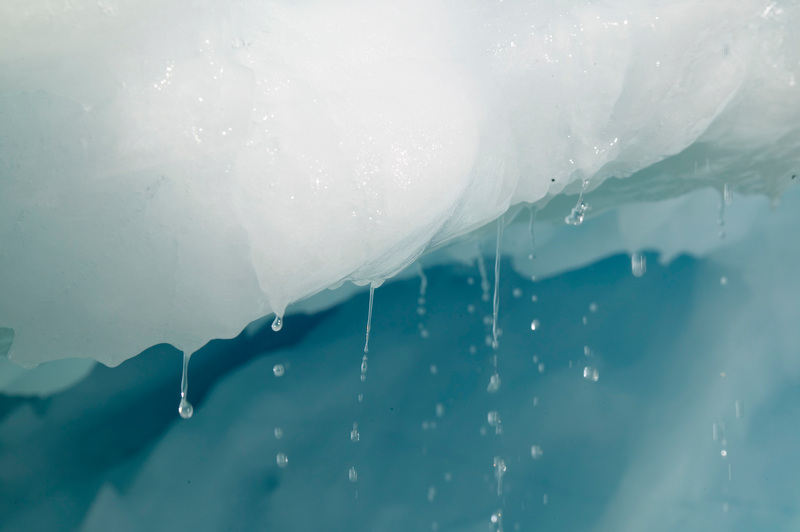 Researchers say the melt could set of a series of natural feedback loops into motion – with significant consequences. Melting ice changes the environment for fish with potential knock-on effects on global fish stocks. Microbes – previously trapped in the ice – could break down organic material potentially releasing large quantities of carbon dioxide and accelerating climate change still further. And all of that is before you get to the polar bears, whales, seals and walruses which would struggle as their natural habitat vanished beneath their paws. This has been a particularly robust year for Arctic ice volume, but as temperatures pick up again the annual summer melt could wipe out much of the recovery. Ultimately, researchers say, this will be the occasional year that bucks the general trend but global warming will keep driving average temperatures up. The Arctic is warming twice as quickly as anywhere else on the planet. This is despite the fact that in March this year we saw the lowest sea-ice maximum extent on record. To make matters even worse, Arctic ice melt is subject to several feedback loops – which essentially mean that the more the ice turns to liquid the more it exacerbates conditions that result in yet more ice dissolving. One of these loops is the Arctic’s ability to reflect heat from the sun – its albedo – which decreases as the ice melts, leaving behind dark areas of land and sea, absorbing heat from sunlight and making more ice liquefy. We rounded up recent Arctic melt impact studies and spoke to Arctic scientists so you don’t have to. Changes in fish stock are already taking place, with some species being boosted and some in decline, according to the IPCC. Warming in the Arctic could lead to fish stocks moving further north into cooler waters, which could lead to fishing vessels heading into Arctic waters, in areas that have not previously been fished because of ice cover – potentially undermining fish stocks. Shoals might also travel around more via the Arctic seas. One study published in Nature Climate Change found that some fish, such as cod and herring, that are found in The Atlantic could be found in The Pacific by 2050 through the previously unpassable North Canadian and Siberian seas. Convection current slowdown “could have negative repercussions for the entire food web, and could severely impact fish populations we rely upon for food,” Mann said. This change could also affect the livelihoods of fishers and Arctic Indigenous Peoples. Some fish species which live on the seabed floor also may not survive in deep Arctic waters, such as the polar cod. Overfishing in the unregulated waters of the central Arctic Ocean is also a risk – if fish stocks are not managed properly than we could be left wondering where all the fish went. The US, Russia, Norway, Canada and Denmark recently agreed not to fish in the central Arctic Ocean – but the EU and China have yet to sign up. This all is without even going into the effects of ocean acidification on fish. Recent studies show as the Arctic ice thaws there will be a slow but steady permafrost release of carbon dioxide into the atmosphere, as microbes, previously trapped in ice, will aid the decomposition of organic material – and release CO2 in the process. This is concerning because the amount of potential CO2 tucked under the ice is enormous – two and a half times larger than the amount of carbon dioxide found in the atmosphere today and more than ten times greater than CO2 in the atmosphere from fossil fuels since the industrial revolution, according to Aron Stubbins, assistant professor at the University of Georgia’s Skidaway Institute of Oceanography. The defrosting of permafrost is another one of those climate change feedback loops. But we just don’t know how much carbon will escape from permafrost, yet. Polar bears on a melting hunk of ice are the iconic symbol of global warming. So it’s perhaps no surprise climate change remains the biggest threat to polar bears. Bears rely on ice sheets to hunt their prey – lipid-rich ice seals. Terrestrial food, including berries, birds and eggs, does not compensate for their traditional prey, a new study led by the US Geological Survey shows. Essentially, ice melt equals habitat loss for the bears. “Once the ice-free period stretches beyond 180 days, such areas start to lose their ability to sustain polar bears,” researcher and biology professor Andrew Derocher of the University of Alberta told Unearthed. “Without sea ice, the bears can’t persist,” he added, predicting that under business as usual scenario polar bears may starve and be unable to reproduce by the end of the century. It is not possible for polar bears to adapt to a warming world by using stored energy, according to a new study published in Science. It turns out the concept “walking hibernation” just won’t happen, bears won’t move with retreating ice in prolonged iceless seasons, leaving them at a real risk from starvation. Another growing issue for the bears is pollution. A team of scientists analysed polar bear tissue samples and found high concentrations of plastic pollution and pesticide contamination from environmental pollution, which could disrupt the bear’s hormonal systems. In particular, the thyroid system is important for essential functions such as growth, development and reproduction. As the ice thaws, this will open up possibilities for new shipping routes, human settlements and fossil fuel exploration further north, increasing the presence of contaminants and pollution in the area, which could increasingly affect the bears. We lose a charismatic species, a reminder of our destruction of the environment through pollution. Slow handclap. Alongside polar bears, other Arctic mammals are also increasingly at risk, say scientists. Marine mammals that rely on Arctic sea ice – including some species of whale, seal and walrus – are “disproportionately threatened…compared with their terrestrial counterparts”, a global survey published in Conservation Biology earlier this year reported. The species identified most at risk from Arctic ice melt were: the narwhal, beluga and bowhead whales; the ringed, bearded (shown above), spotted, ribbon, harp and hooded seals; the walrus; and the polar bear. Apart from these animals’ significance in the Arctic ecosystem, they are also important to Indigenous Peoples in the frozen north, aiding community survival either as a crucial food source (shown above) or sometimes as a tourist attraction. These communities are already under stress from climate change.